Great pictures! 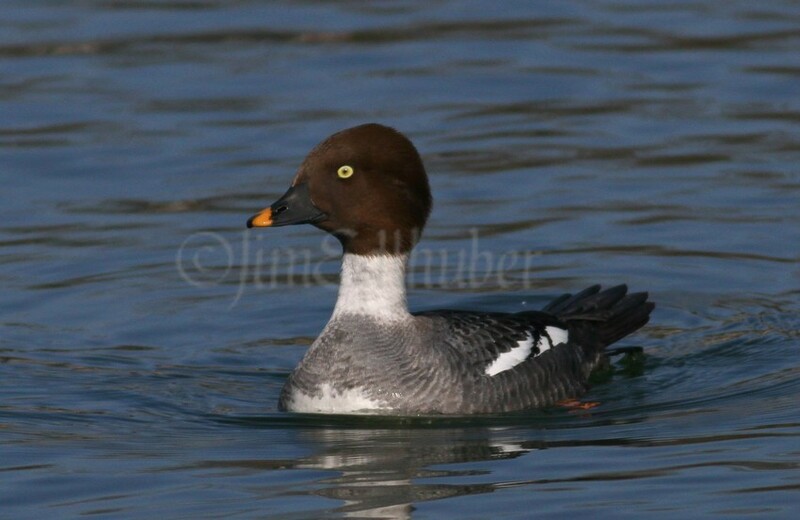 We saw these, and some Common Mergansers in the Sheboygan river at Blue Harbor yesterday afternoon. The markings on the males are always so stunning. Love the merganser’s long bill & wild “hair” do; the scaup’s blue bill; and the fact that the male Golden eye’s head is actually a dark green that shows up in just the right light! Really a nice set of images Jim. I went birding yesterday and saw the birds you photographed. However beautiful they were through my bins or scope none were as beautiful to me as your photos. This collection is a beautiful way to compare , identify, and contrast these species. Great photos, but the details of the merganser are spectacular. Thanks, Jim!